At my little man’s six month check up, his pediatrician said we could start trying to use a sippy cup with him in a couple of months. So, that’s exactly what we did. 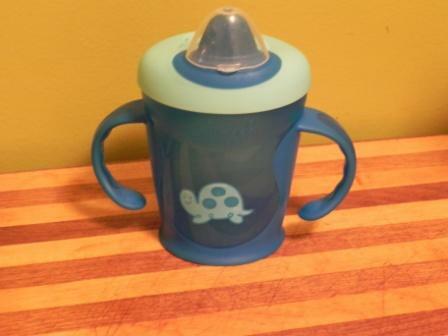 We bought a sippy cup that said it was for beginners and started using it. Well, it didn’t go as we had hoped. “G” had a hard time biting it hard enough so the liquid would come out. So, after a while we decided to try a different type. So that’s what we did. Meet sippy cup #2. Not any more successful than #1. In fact, it seemed even a little harder for him to use. He just wanted to bite the tip of it and not drink from it. So, it was back to the drawing board. I did some research online. And by research I of course mean that I checked the message boards on babycenter.com to see what other moms were saying. 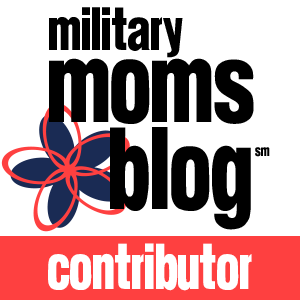 I also looked at parenting.com and my Parenting magazine. They all agreed that Tommee Tippe sippy cups were the best. So, off to the store we went to buy one. Our little monkey did MUCH better with this cup. It was easier for him to hold and to drink from. It seemed like we were on the road to success and would be able to ditch the bottle soon enough and be on full sippy cup mode. I know it’s not the end of the world that he hasn’t figured it out yet. 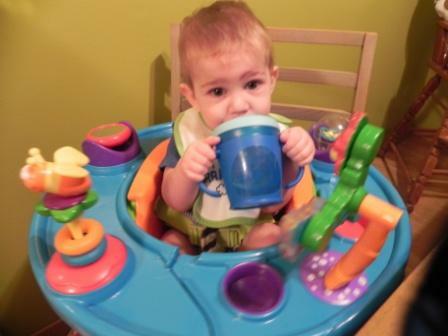 I don’t care if he still drinks from a bottle, but it would be nice to get him drinking from a sippy cup soon. So, any moms out there with any advice for me? Leave your comments below. Thanks ladies! 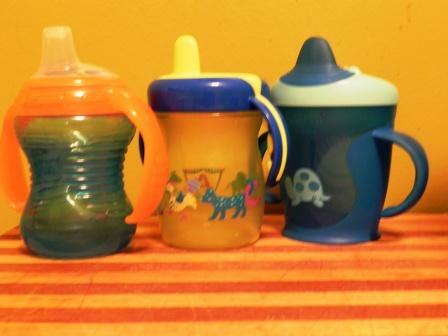 8 Responses to "Sippy Cup Woes"
May seem drastic, but when you are truly ready to give up the bottles, put them away and never take them out again. He may play at first, but his thirst will get the best of him and he will drink when he needs too…. Kathy, I may end up having to try that if it gets to that point. I have tried putting his milk in the sippy cup and giving him that and not the bottle, but he pushes it away and just screams and refuses to drink out of it. Leah! We went through the same thing with Kylie. She hates sippy cups! Try one with a straw! I got her 2 that are spill proof and there is a cover that slides over the straw to prevent it from getting dirty. I got them at Target. She’s been using them since 10 months and LOVES them. My mom even found a similar one for her house without the cover. Kylie drinks water all day from it. It is playtex and is thinner in the middle so Kylie holds onto it really well. We leave it next to her toybox and she goes over to it and drinks all by herself. 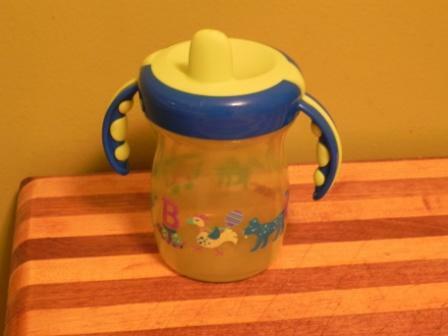 Some babies just dont do well with sippy cups. G might be one of them like Kylie! Let me know if you find one and how he does! I’ll have to try one of those. I’ll look at Target for those. Thanks Cat! 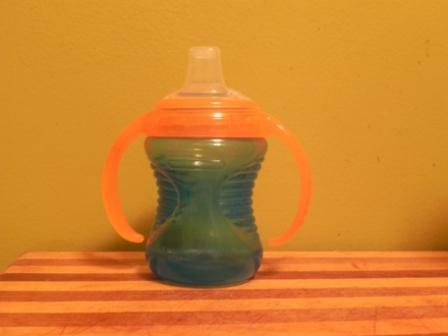 So as he is transitioning from bottle to sippy cup, give him some time to adjust to know what its used for. Liek I mentioned befroe make a bomding time with him during this transition, drink with him, even take the sippy cup and show him.If he continues to “play” for now, tha’ts ok, he willget the hang of it , as long as you keep giving it to him. 🙂 HAve Fun! Don’t be stressed! Thanks Jen! That’s encouraging and sounds like a good idea. We also used the straw sippy with Chloe and she took right on it after a few trys. She still tips her head back with it but she gets the concept. One thing I didn’t see mentioned yet was keep warming up the milk (however you want to do it). Chloe does ok with cold during the day but we still warm up her milk at nighttime and mornings. Cold milk “hurts” the tummy in little ones, as they say in Ecuador! And yes, keep those bottles out of sight and DON’T resort to them if you don’t have any clean sippys! That’s one of the best ways I think to get them to drink from the sippy, they will eventually get thirsty. Thanks Ranay! I’m planning on making a Target run this week or weekend to pick one up. Hopefully he will do well with the straw. I’ll remember that about the cold milk.